In traditional Chinese medicine, Meridian System serves as the path of life where energy (known as Qi) flows through. 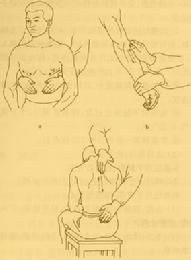 Each Meridian point (acupoint) corresponds to a hollow or solid organ. 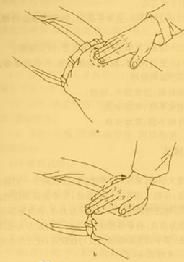 For example, the Yin Meridians on the arm interacts with Lung, Heart, and Pericardium, while the Yang Meridians on the arm correspond to Intestines and Triple Burner. Professional Meridian massage can help body function better and heal at a natural pace. Meridian massage works precisely on the Meridian system where about 368 acupoints are situated. By manipulating both superficial and deep muscle layers and connective tissues, Meridian Massage therapist help the patient to relax muscles, which leading to a natural healing of tendons, ligament, fascia, skin, joints, and othter connective tissue and organs. Who are benefiting from Meridian Massage? Considered as the modern antidote for stress, massage therapy helps reduce stress by easing down the tension build up in the muscle. A growing body of research has suggested that massage can soothe anxiety and stress for it reduces the level of hormone cortisol, the major trigger to stress, resulting in relieved spirits and lower blood pressure. Besides, two important happiness hormones, Serotonin and Dopamine, will be boosted after a good relaxing Meridian Massage. 8 out 10 Americans have experienced physical pain due to our modern stagnant lifestyle. A recent research,Massage Eases Low Back Pain in Randomized Controlled Trial, discovered that massage therapy does help ease chronic back pain and improve function. Quality sleep is essential to our wellbeing. A number of research have found that massage can effect on delta brain waves- the brain waves that correlate to deep sleep. Researchers also reported that massage increase measurable number of while blood cells, helping body to fight against disease. 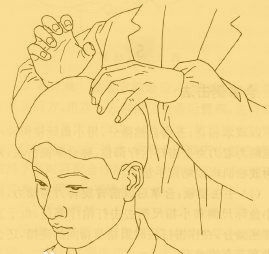 People who suffer from migraine pain and headache have reported that they felt an instant relief after received head massage. There are five acupressure points on our body, if massaged in the right way, can help ease down your head tension. They are located at the base of your skull, the middle of your forehead, the corners of your eyes, between your index finger and thumb, and your feet.